WITH 33.6 HP YANMAR DIESEL ENGINE. 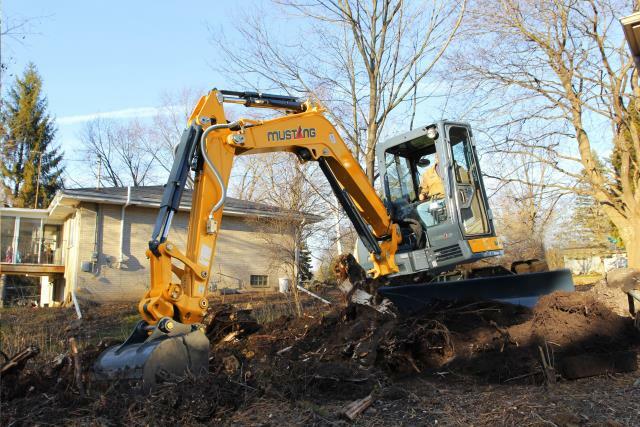 EQUIPPED WITH HYDRAULIC THUMB AND STRAIGHT BLADE. 13.8" WIDE RUBBER TRACKS AND 13.6" GROUND CLEARANCE. MAX. DIGGING DEPTH: 11'8". MAX. REACH AT GROUND LEVEL: 18'10". STRAIGHT BLADE (6'6" X 15.7") WITH FLOAT. MAX. BREAK-OUT FORCE: 6490 LBS. ZERO TAIL SWING WITH JOY STICK CONTROLS. DUAL PATTERN (ISO OR SAE). TRANSPORT DIMENSIONS: 17'5" L X 6'6" W X 8'4" H. OPERATING WEIGHT: 10,800 LBS. FUEL CAPACITY: 17.4 GALS. FUEL CONSUMPTION: 1.24 GPH. OPERATOR STATION: CAB WITH HEATING & AIR CONDITIONING. 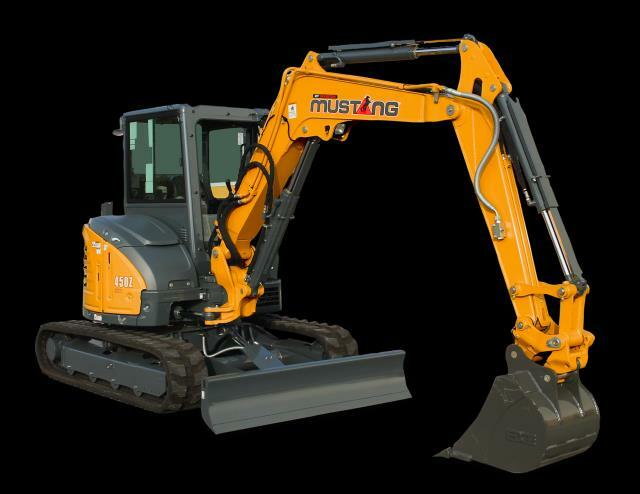 * Please call us with any questions about our excavator mustang 450z rentals in Old Town ME, Milford, Bangor, Pea Cove, Eddington, Bradley, Orono, Bangor ME.